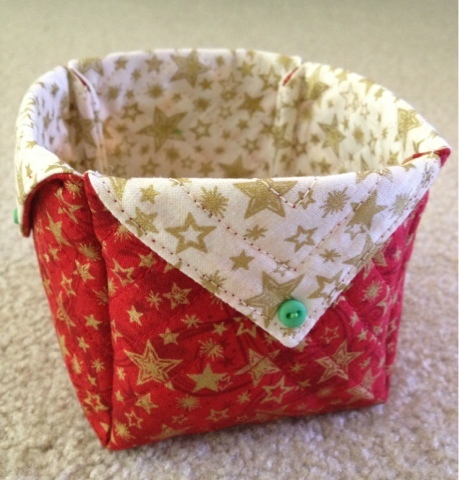 Size: 3.25" x 3.25" x 3.25"
This adorable little box is a tutorial on the Seaside Stitches Blog. I did change the corners and sewed them as French seams so I wouldn't have the flaps to hand-stitch down inside the box. It is so cute, I can't wait to make more.